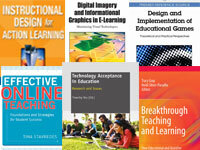 Welcome to the research guide for instructional design and technology! Use the sections below to help find articles, books, ebooks, media, and web resources. Check out the section on images and audio for public domain and Creative Commons media you can use for class projects. There are also sections for APA style citation and library contact information. To search by topic, use one of the recommended databases. For browsing, select a specific academic ejournal. Both options will require you to login to the library databases using your borrower ID and PIN. The box below allows you to search for books, ebooks, and media directly from this page. 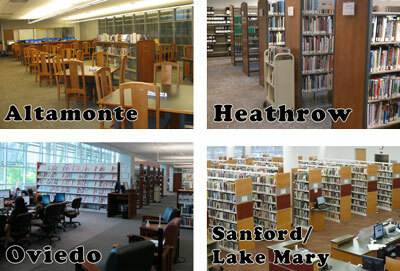 You can also access the library catalog from any Seminole State library page as well. If you are ready to begin searching for books and media, then simply type your keywords below and press the "Search the Library Catalog" button or Enter on your keyboard. It is a good idea to keep your search statements and keywords basic when searching the catalog. To access ebooks and streamed media, you will be prompted to login to the library using your borrower ID and PIN. Note that you have the option to use the Advanced Search link. This will afford you the greatest control over your results including choosing the material type (book, article, ebook, etc. ), campus location, and year of publication of your results before searching. Current faculty, students, staff, and retirees can use the online Seminole State Library resources. For a more thorough explanation, watch this one minute video tutorial. If you still need assistance, contact the Circulation desk at 407-708-2618 or send a message to library@seminolestate.edu. Many of the free images and audio available on the Web will have a Creative Commons license. Most creators will require attribution, or credit, for using their works. Search for class-safe Flickr images. Each image has an attached attribution created for you. Free images that do not require attribution.